I haven't heard the rest of the album to judge, but the first three available songs are excellent, and the arrangements are unique and fascinating. Take Ódinn, for example, it has a rhythm and cadence that stands out as unique. The band members have great voices, and the drums feel earthy and powerful, like the preparation of a battle. I typically listen to metal, but this touches the soul on a primal level. I enjoyed it immensely, all three songs, and I look forward to when the album comes out in less than four months. I will pre-order this soon, and look forward to hearing the rest of it. Apple iTunes suggested this to me based on all the Celtic, Viking, and folk metal I listen to. It was a breath of fresh air. 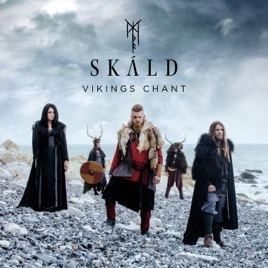 If you're wondering if you should buy this album, then imagine Wardruna, but instead of all instruments, you have all singers. Yet Skáld has very much the same energy, here. Powerful, primal, passionate, and incredibly complex depth. I love it. And, no, by 'passionate,' I do not mean sensual. I mean impassioned, like a warrior about to step onto the battlefield for the first time, full of hope and courage, and wanting to live up to all the expectations set upon him or her. You can tell right away this band isn't made up of nervous bath maidens. They come at it with confidence and gusto, and right from the diaphragm. Maybe it's because the band is comprised of shield maidens and warriors. Maybe they're comprised of Einherjar and Valkyries. Maybe it's because they have the mighty weight of the Æsir on their side. Maybe they're half Jötunn like Thor, so they have the big powerful lungs of giants. I played the first three songs, and I grew a beard over night, and my chest hair became thick and luxurious. My wife approves. Thanks, Skáld! Look forward to when you drop the album! Until then, I will go í Viking with the first three songs! I’m an avid listener of Viking metal and hard rock but this.. this is just breathtakingly beautiful. 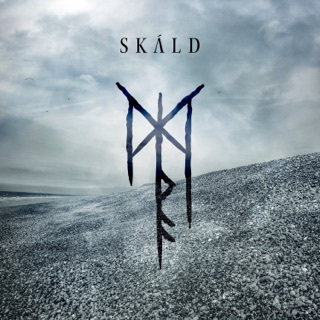 The first song I heard from Skáld was Rún and I fell in love instantly. I bought some of their songs not too long ago (Rún, Ódinn, Gleipnir, and Ó Valhalla) but recently heard the song Fluga on YouTube. That’s when I immediately thought to myself, “Sod it, I’m just going to buy the entire album.” Their music is absolutely beautiful and I’d recommend them to any one. There isn’t a single bad song on the entire album.